Ice Cream Scoops : No Skew Turns, Gifts handcrafted from the world's beautiful woods. 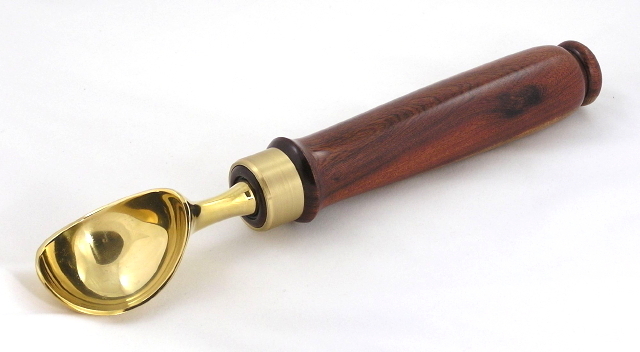 The elegant bowl and ferrule on these very practical scoops are heavy solid brass. I have turned the handles in varying shapes to fit different grips. Handwash with warm soapy water and towel dry. These scoops will serve you many a carton of ice cream! Note: Do NOT put these ice cream scoops in the dishwasher!